American officials have asked Ankara to avoid further acts that generate tension between Greece and Turkey in the Aegean, a Kathimerini report says. According to the report, the issue was raised during the Munich Security Conference last month, as well as during private contacts in Ankara. 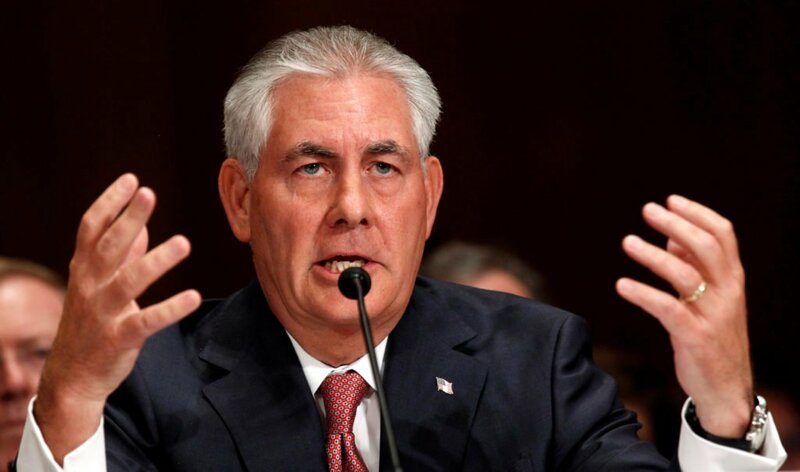 Kathimerini says that U.S. Secretary of State Rex Tillerson discussed tension in the Aegean with Turkish Foreign Minister Mevlut Cavusoglu on the sidelines of the Munich meeting. Assistant Secretary of State John Heffern reportedly asked Turkish officials to refrain from acts that raise tension. Furthermore, U.S. Ambassador to Ankara John Bass met with Turkey’s Foreign Ministry Undersecretary Umit Yalcin to put pressure in the same direction. Yalcin is said to have attributed the behavior of the Turkish military to the army’s damaged morale by developments following July’s failed coup attempt. On the Greek side, Foreign Minister Nikos Kotzias is expected to visit Washington for a meeting with Tillerson in the coming days. Talks are to be followed by a telephone conversation between Prime Minister Alexis Tsipras and U.S. President Donald Trump.